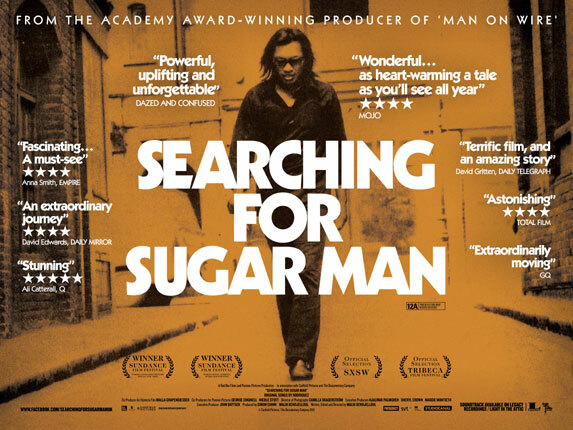 If you haven’t seen Searching for Sugar Man yet, I urge you to do so before reading this, anything else about the film, or watching trailers. I’m sounding off to take issue with The recently publsihed Lefsetz Letter commenting on the Oscar nominated documentary, Searching for Sugar Man. Bob Lefsetz claims the film is a bogus work of “fiction,” exaggerated merely for profit motives. His argument: “You mean a guy was hit in South Africa and didn’t know it and labored in obscurity for decades, until some filmmaker in Sweden found out about it and made a movie?” Lefsetz is confusing the movie itself with the events it documents – events that occurred some fifteen years ago. The film, nor anyone involved making the press rounds (director Malik Bendjelloul, Rodriguez, Sony Pictures Classics) is claiming this movie found the lost musician Rodriguez. Rather, the movie documents a remarkable series of events that unfolded in the 90s, and weaves an unbelievable but true tale with both accurate and inspiring artistry. The sad irony here is in accusing the filmmakers of misleading the audience, Lefsetz is actually misleading his readers with these baseless, sophomoric conspiracy theories. I was wondering how he, who has been writing about the music biz for some 25 years, got it so wrong this time and missed the obvious. Upon my second read it all made sense – he hasn’t seen the movie yet.